WELCOME TO CATANDUANES TOURISM WEBSITE! 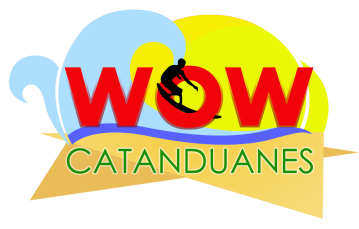 ﻿We are happy to bring you the most updated information about the province of Catanduanes. Know more about the tourism destinations and what our province has to offer. Catanduanes is an island province of the Philippines that belongs to the Bicol Region (Region V) of Luzon. 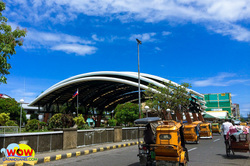 It is composed of 11 towns and its capital is Virac. 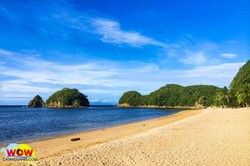 Catanduanes' geographical position has it lying completely exposed to the Pacific Ocean. Therefore it is known as "Land of the Howling Winds" because it is frequently visited by tropical storms. Catanduanes, an island nestled at the mighty Pacific Ocean is rarely explored by travelers because of the frequent ravaging of typhoons. Dubbed as the "Land of the Howling Winds," this island will surely captivate you with its bounteous natural attractions and eco-adventures. 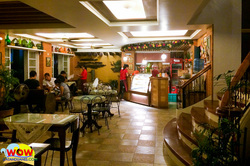 Panganiban is one of the municipalities that host natural sanctuaries for hard-shell crabs or locally known as "kinis". 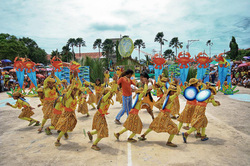 Dubbed as the "Crab Capital" of the island, the town celebrates its annual 'Kinis Festival' on the month of July. 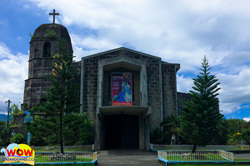 For history buffs who are exploring Catanduanes, this spot must be included in your bucket-list as it is one of the best places to grasp many amazing facts about the history and culture of the island. Catanduanes is an island province of the Philippines that belongs to the Bicol Region (Region V) of Luzon. Its composed of 11 towns and its capital is Virac. If you come in Catanduanes to enjoy natural beauty it has and experience eco-adventure activities, those can never be completed without exploring the culinary spots in the island.Catandunganon cuisine is known for its use of gata (coconut milk) and chilis.